In 1948 Tolmino Gios from Turino in Italy opened his bicycle shop. 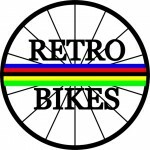 In the early 70s the company specialised in high-end racing bicycles and since then, has become the supplier for many professional racing teams such asBrooklyn or Ljboerke in the 1970s. The first-class bicycles made by Gios are mostly painted in distinctive blue, which is why the term “Gios-blue” became established. The origin of this colour lies in collaboration with team Brooklyn who had red, white and blue equipment and Gios decided blue would match these colours best. In 2010 Gios relaunched to the international market, administered by owner Alfredo Gios in collaboration with Japanese partners.